Britney Spears, Beyoncé, and Justin Bieber are some of the biggest names in the music industry—and they have all rocked the Grandstand arena at our beloved California Mid State Fair (CMSF) before they hit mega-stardom. Don’t believe us? That’s just the tip of the iceberg. We have compiled a list of the most successful CMSF entertainers whose careers took off at the “biggest little fair anywhere!” With headliners like Blake Shelton, Tim McGraw, and Fergie at this year’s California Mid State Fair, along with plenty of free shows on the Frontier and Headliner stages, this year’s line-up will be history in the making. In fact, for only the second time in fair history all 14,000 seats were sold out in one day for Shelton’s July 23 concert. Come enjoy all of the live entertainment that the Fair has to offer and make your reservation to stay at the Paso Robles Inn—conveniently located just across the street from the fair shuttle stop on Spring Street. Johnny Cash, the only artist ever to be inducted into the Country Music Hall of Fame, the Rock and Roll Hall of Fame, and the Songwriter’s Hall of Fame played two shows at the 1989 CMSF—as part of the free entertainment package on the Frontier Stage. 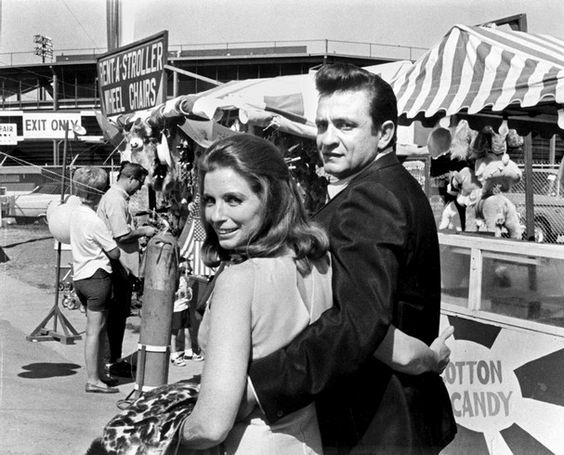 Cash’s popularity didn’t skyrocket until after his CMSF performance with the 2000 release of American III: Solitary Man, which eventually won him the 2001 Grammy for best male country vocal performance. To this day, Cash has sold over 90 million records. Before “Oops!…I Did it Again,” Britney Spears performed in Paso Robles as part of her debut concert tour, “Baby One More Time.” Both of her first two albums broke international sales records, with “Oops! …I Did it Again” earning the title of best-selling album by a teenage solo artist. From then until 2007, Spears’ career took off, until some personal issues caused her to step back from the music industry. Today, Spears is regarded as the “Princess of Pop” and she is working on an album set to release this year. Who would have thought the CMSF could be home to more royalty besides the pageant queen? At only 20 years old, Christina Aguilera embarked on her first headlining concert tour. London, Tokyo, Mexico City, Nashville, and good ol’ Paso Robles were just a few of the 35 cities she visited. Aguilera opened the CMSF with hit song “Genie in a Bottle” and closed the night with an encore performance of “What a Girl Wants,” both of which went on to top the Billboard Hot 100. Since her first tour, Aguilera has had an incredibly successful musical career, having starred in the film-adapted musical, Burlesque, and having coached on NBC’s hit show, The Voice. Yet another member of music royalty began their careers with the CMSF: Queen Bey herself. 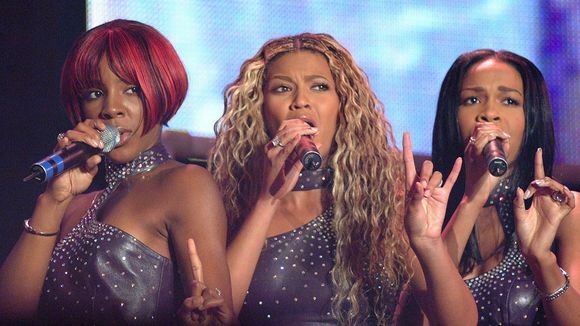 Beyoncé performed at the CMSF in 2000 with girl-group Destiny’s Child as openers for Christina Aguilera. The years following their performances as opening acts and the release of hit song “Say My Name” are seen as the group’s most successful period. However, that was the only beginning for Beyoncé. Today, Beyoncé has claimed 17 Grammy awards, and earned more than $75 million in world record sales. With four world tours under her belt, it’s amazing to think that the 32nd most powerful woman in the world got her start as an opening act at our lovely county fair. Aerosmith was already extremely popular by the time they played at the CMSF in 2007 for the first time, but they hold an important place among all CMSF entertainers. Tickets sold out in only a few hours after they went on sale, making CMSF history. 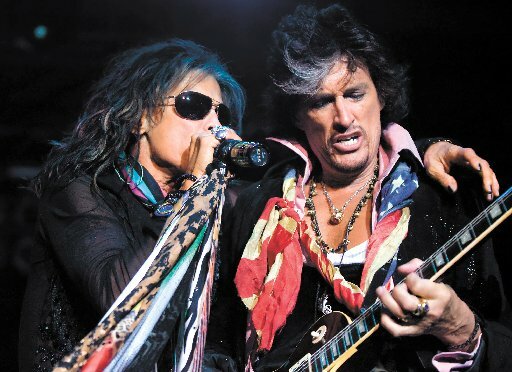 Aerosmith is also among the highest paid entertainment acts in fair history, earning just under $1.5 million for the show, which includes their flat fee and 70% of the gross box office receipts. There were only four North American tour dates on the 2007 Aerosmith World Tour, and only two were in California: Paso Robles and Kelseyville. Having played in over 19 countries during that tour, we sure are lucky Aerosmith would “Walk this Way” to the beautiful Central Coast. In 2010, 16 year old Justin Bieber sold out the 14,000 seats in the CMSF Grandstand arena with his debut concert tour, My World. Overall, the tour grossed a total of $53 million worldwide. Bieber performed some of his biggest hits, including “One Less Lonely Girl,” “Never Say Never,” “One Time,” and of course, “Baby.” Bieber stopped in Paso Robles in between performances in Los Angeles and Las Vegas. Other tour dates included shows in Dublin, London, Paris, Barcelona, Tokyo, and Rio de Janeiro. Since his first tour, Bieber’s career has catapulted him to the top of the charts year after year. For three consecutive years, Bieber was listed among the top ten most powerful celebrities in the world in Forbes magazine—and he’s only 21. 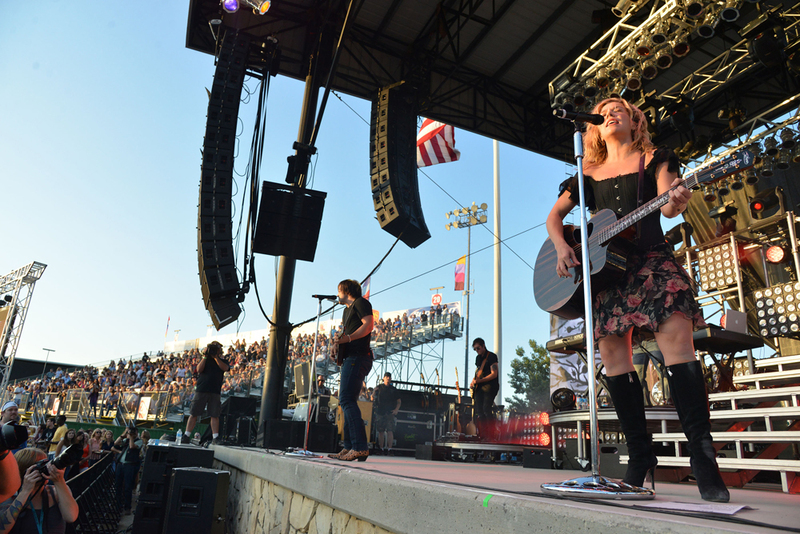 On July 23rd, 2013 Rascal Flatts rocked the Grandstand arena with “special guest” The Band Perry. The trio of siblings opened for the Rascal Flatts on the Live & Loud Tour, where they played in over 30 cities around the world. Their first album sold 1.3 million copies with five singles hitting the top of the Billboard Hot 100 including “Hip to My Heart,” “You Lie,” “All Your Life,” “Postcard from Paris,” and Number 1 single, “If I Die Young.” Since touring with Rascal Flatts, The Band Perry has toured with Blake Shelton, Chris Young, and Brad Paisley. In 2013, the band headlined their first world tour, We Are Pioneers, which grossed over $4 million.